for exam prep materials...WE GIVE IT TO YOU FREE! some help, give us a call! A.) Enter your Driver License #Enter your Driver License # to study or buy additional courses. B.) Sign UpOr, if you have not signed up yet, choose Sign Up. After a few questions your account will be established and you can purchase courses. You will buy them one at a time. B.) StudyStudy one or more courses...stop and go as you like. C.) Print CertificatePrint a Certificate of Completion when you have finished all study requirements. A.) Open a SectionJust click and open a Section. Our system keeps track of your study time. NOTE: The DOI requires you to be active. If your system is idle for 20 minutes, we are required to log you off. B.) 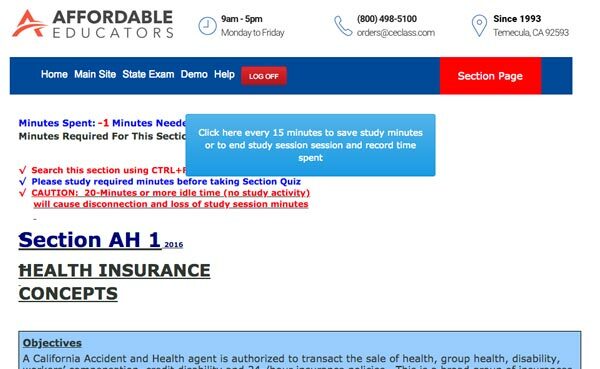 QuizzesSection quizzes (required by the State) turn blue (activate) when you are done reading the test. When taking these quizzes, don't worry if you get a wrong answer, we'll tell you the right one and why it's the best choice. Just re-take the quiz for a perfect score! Our insurance prelicense study guides are very easy to read. Study times are automatically tracked and conveniently posted at the top. A.) Read & succeed at your own paceJust read and succeed at your own pace. No boring lecture videos or instructors to lead you around. B.) No printing requiredNo printing needed. You get your own PDF Course Book FREE! Save it to your computer and review it anytime. Whenever you want, print a page or several. Complete your reading and quizzes and instantly receive your Certificate of Completion online! No waiting. Simply print and sign and it’s ready to hand-in at the State Exam. A.) ReportingWe report results to the State every Tuesday & Thursday or use our Rush Service to have it posted within 48 hours! 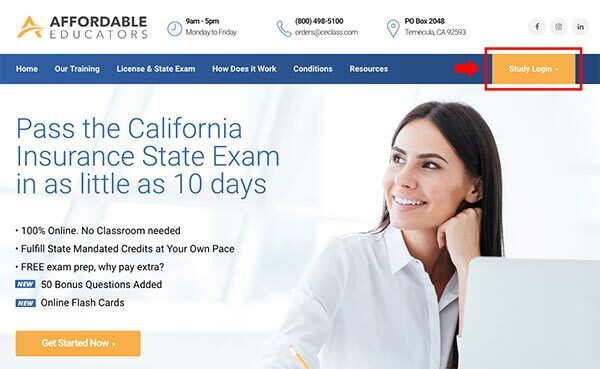 Once you finish the course, we are the only California Provider that prepares you to pass the State Exam with a FREE Online Exam Wordbook. 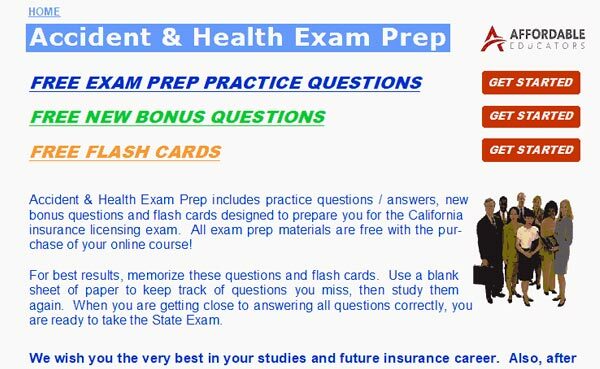 Thousands have used this workbook to pass the State Exam the first time! 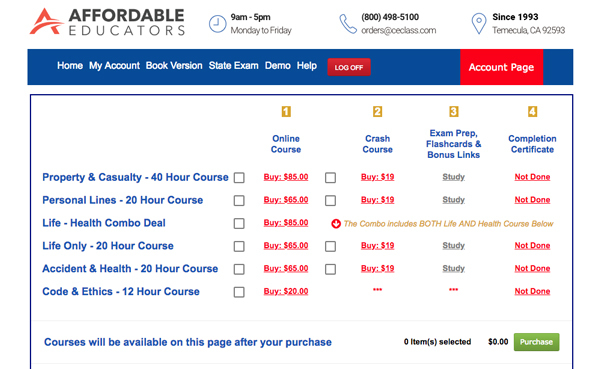 Or, buy our Crash Course for an unheard of $19 and we guarantee you will pass. When you order you have instant FREE access to all online study materials, a digital PDF course book, sales guides and reports and more (see below). Access information to your Online Exam Workbook is emailed with a few days. A.) Your PDF BookA full digital version (PDF) of your course book to save to your computer. Print any pages you like.